Synthetic formula eliminates smoking, reduces carbon build up and provides highest level of performance for all 2-stroke engines and scooters. Recommended for injector autolube systems and premix ratios up to 50:1. *Sold in Case Quantity only. 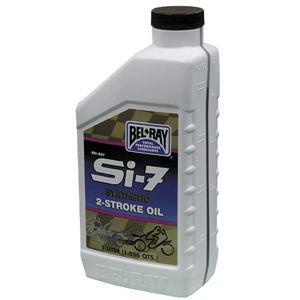 Semi-synthetic blend formula for all 2-stroke engines. Recommended for injector autolube systems and premix ratios up to 50:1.